Add an option to enable/disable the Ready Check at the end of the break command. Add an option to customize the Ready Check message. Fix the blue line direction on Orbs. Filter wrong names displayed (many fire or life boss were tracked). Add 1 timer to indicate the end of the Phase 1. First player which will be root in phase 2. Players rooted in phase 2. Players with the debuff "Life Force Shackle", which must be dispel. Standardize the lines on Visceralus for the "Blind light". Standardize the square for the defrag. Fix the defrag detection and so the square around you. Start to standardize timer with the prefix: "Next ..."
Start to standardize message in upper case. Add lines around bosses to indicates where are automatic attack. 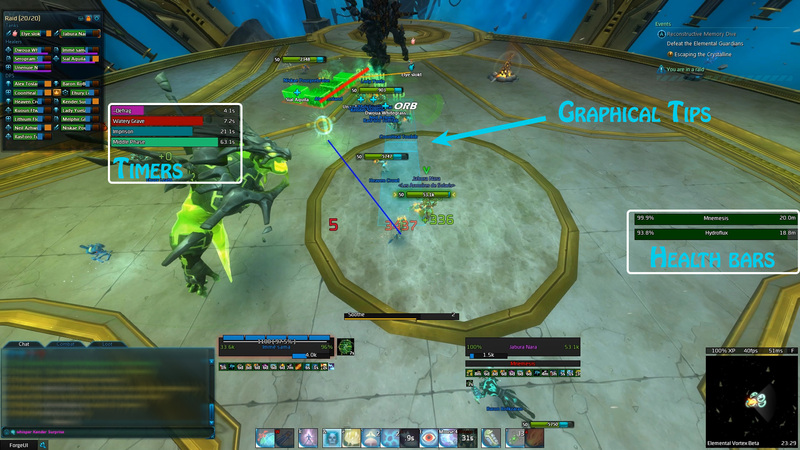 Add Crosshair picture on player with the incubation debuff. Add line to the radiation bath. Add Cross picture to mark the regroup zone for players with incubation. Add Egg markers in the room 10s before Egg spawn, and draw a line to drive the player. Replace the number by a crosshair on corrupted player. [GA] PhageMaw: Add line between you and bombs with a limitation of 40 meters. Fix the count down on pull and break command. Fix persistant mark on gloomclaw (previous elemental healed). Fix wrong add unit name in log, when this last have changed.